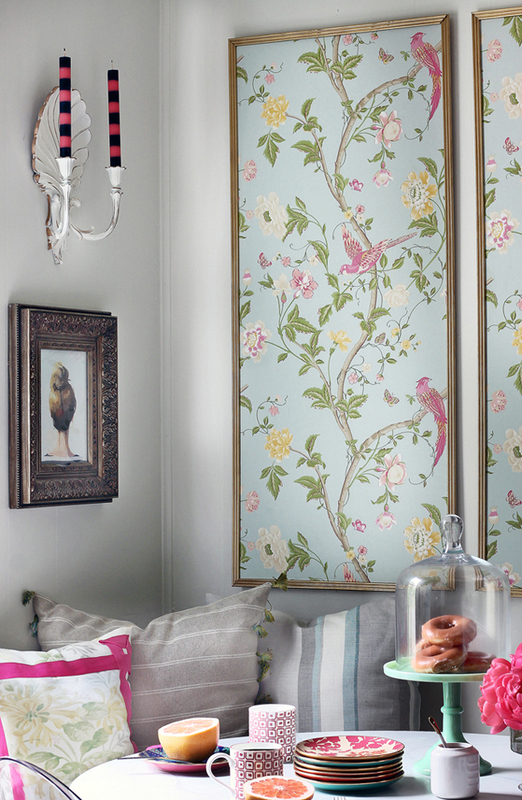 Wallpaper can totally transform a space. 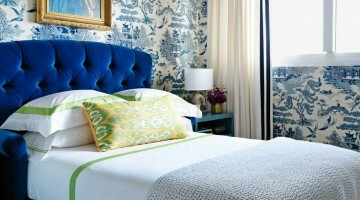 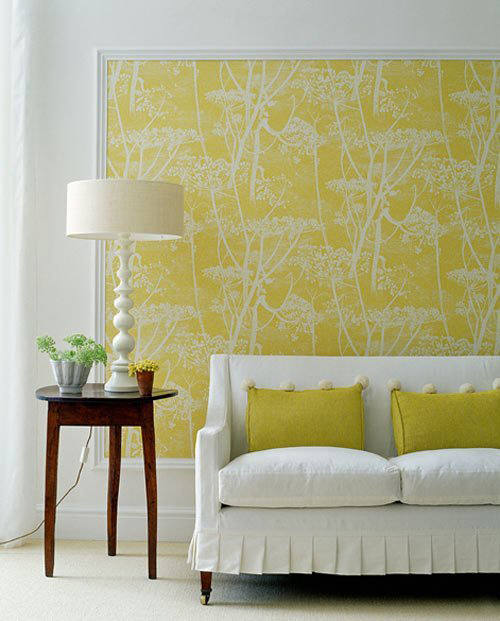 There are so many beautiful options out there to choose from and clever ways to use wallpaper. 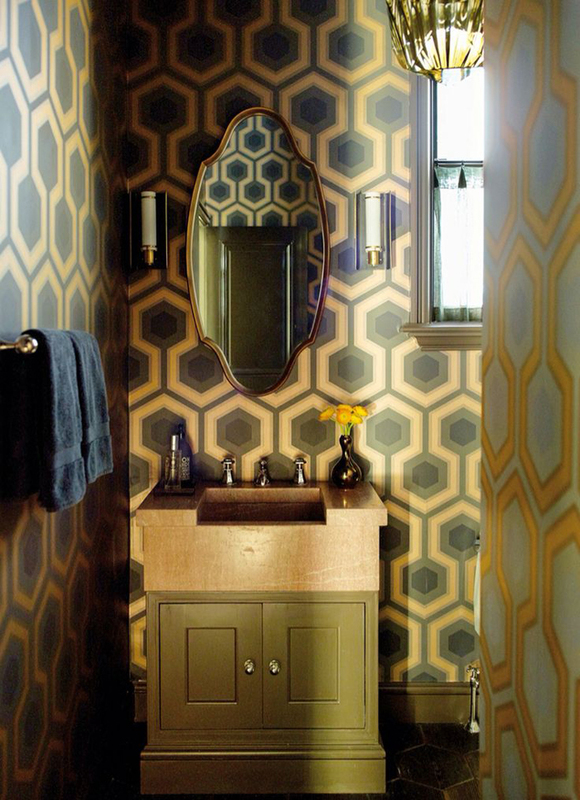 And for those of us that are renting, there are many great options for removable wallpaper such as this one. 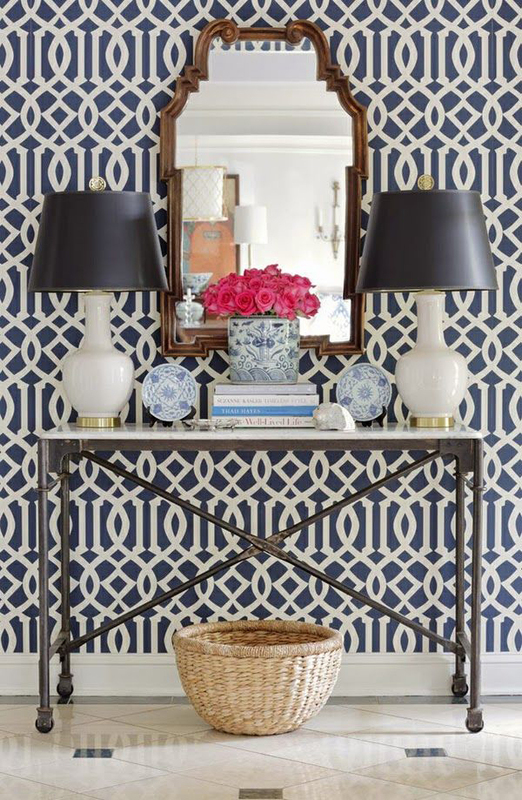 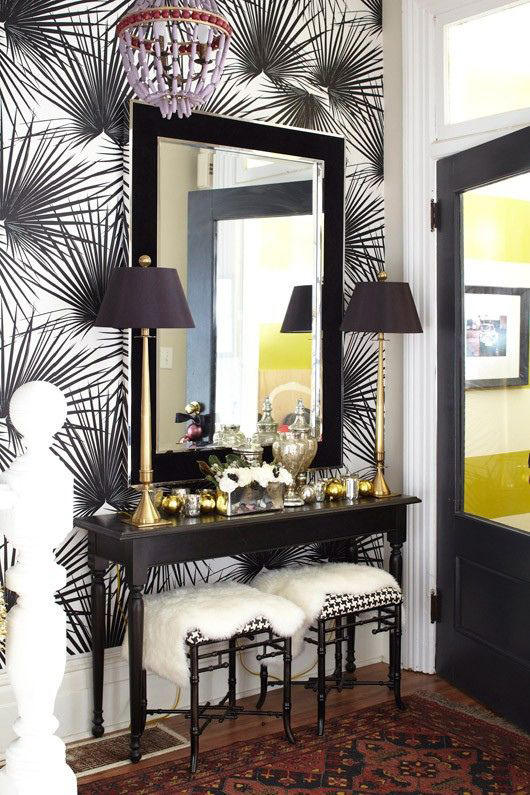 Foyers or entryways are a great place to use wallpaper. 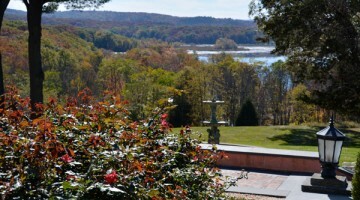 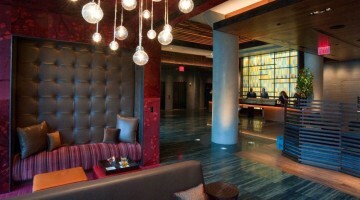 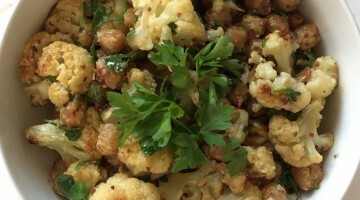 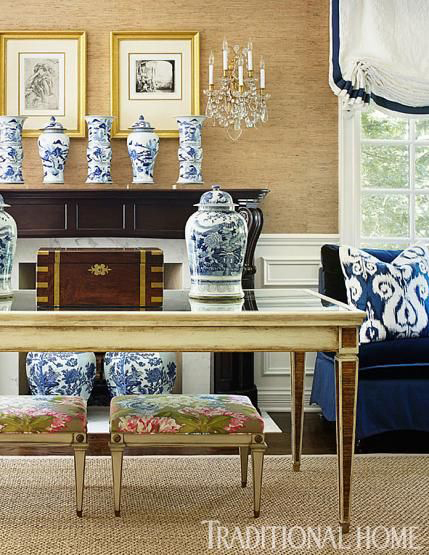 It’s the first impression of your style to guests. 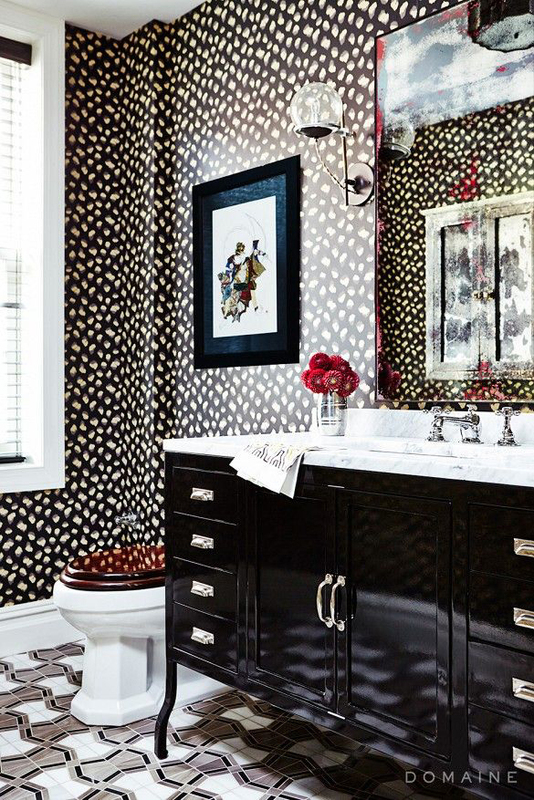 Get creative with wallpaper in the bathroom, especially a powder room. 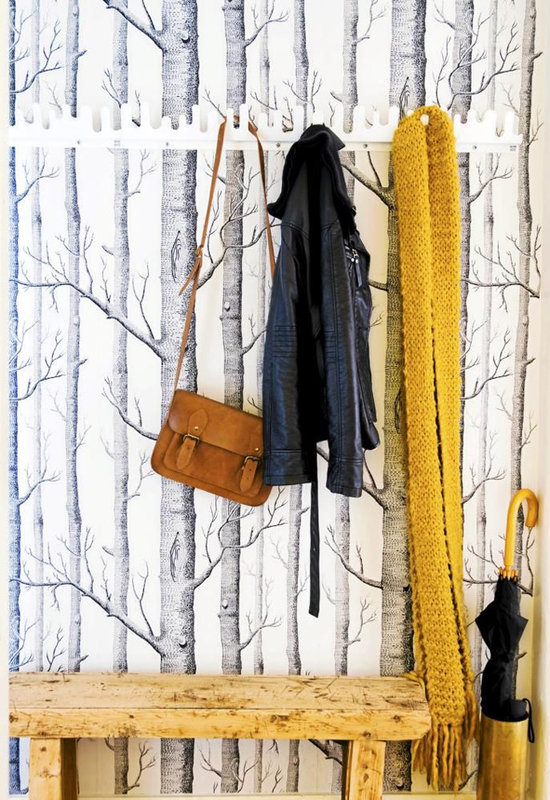 For bathrooms with a shower, make sure it’s vinyl coated and as long as its applied properly, you’re good to go. 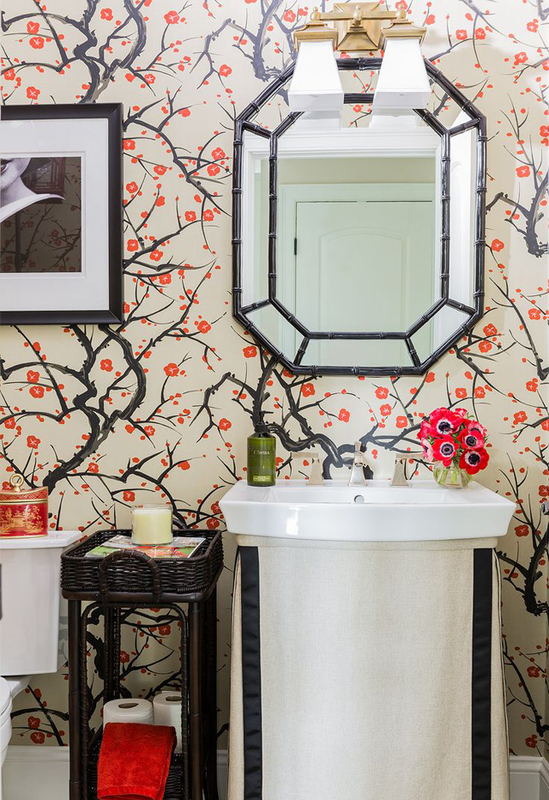 This is one of my favorite papers, Flowering Quince by Clarence House. 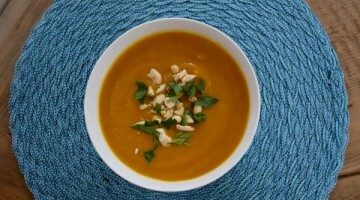 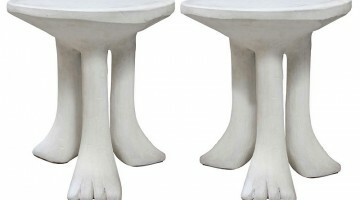 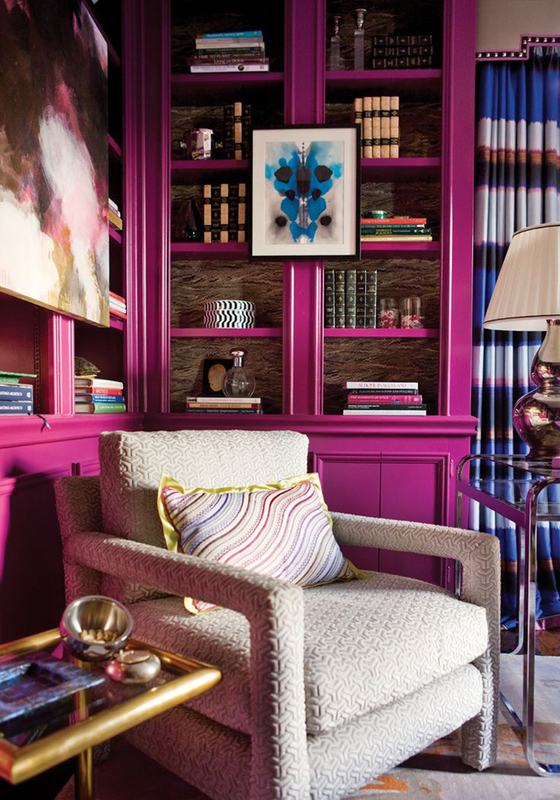 It has such an exotic, whimsical look. 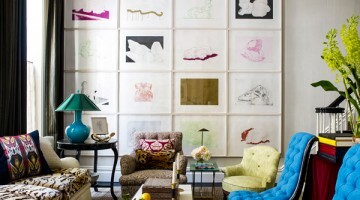 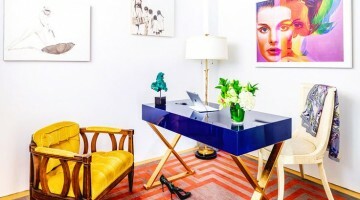 Wallpaper can be framed and hung like a piece of art. 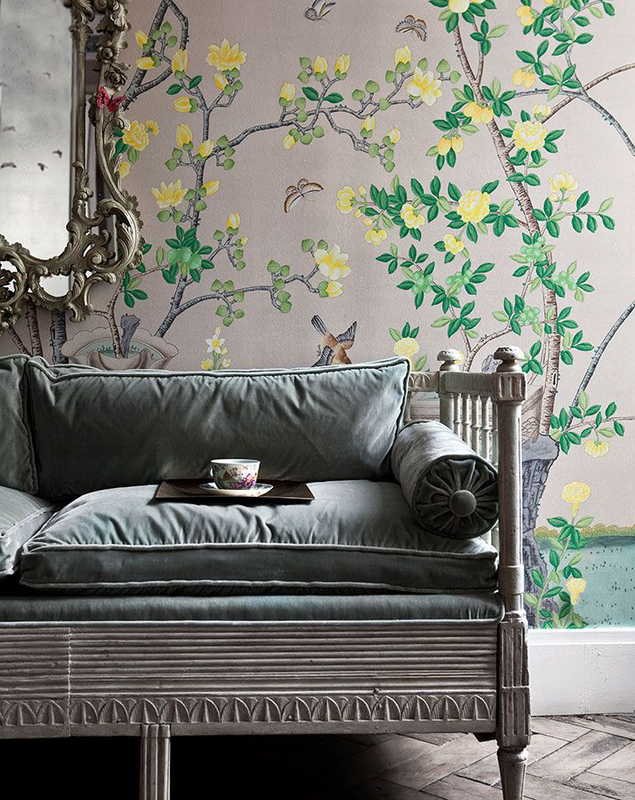 De Gournay makes beautiful mural wallpapers that can be costly, but if used in this way or only on a feature wall, you can get a lot of look without a lot of cost. 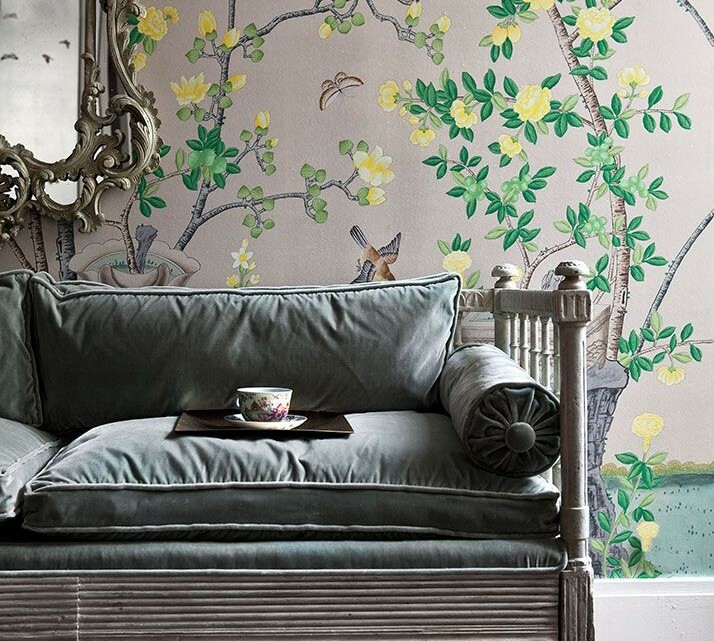 Another source for De Gournay style papers for less here. 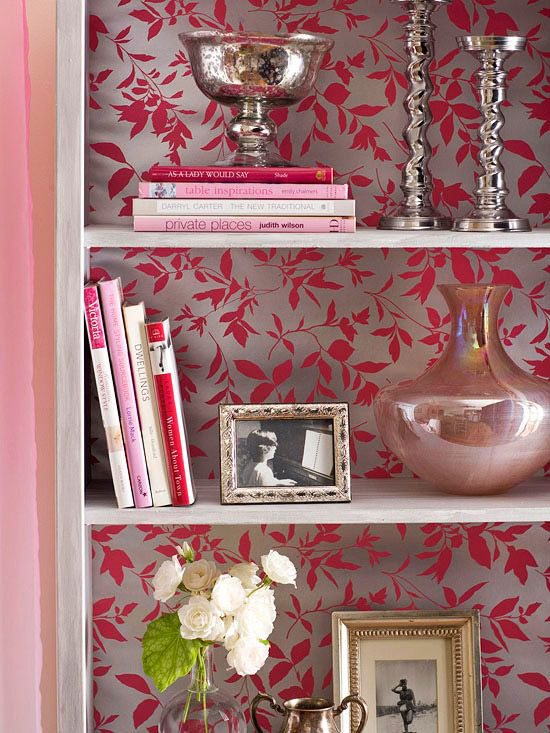 Try using wallpaper in the back of a bookcase. 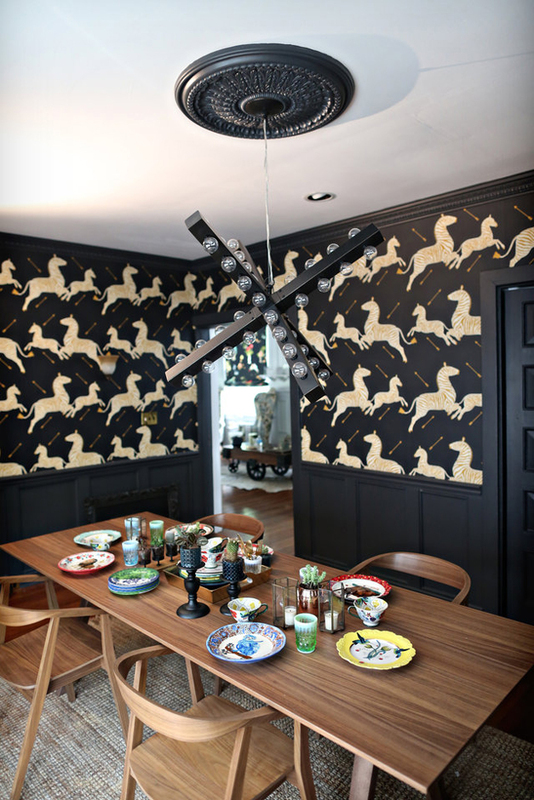 The ceiling is another opportunity for wallpaper. 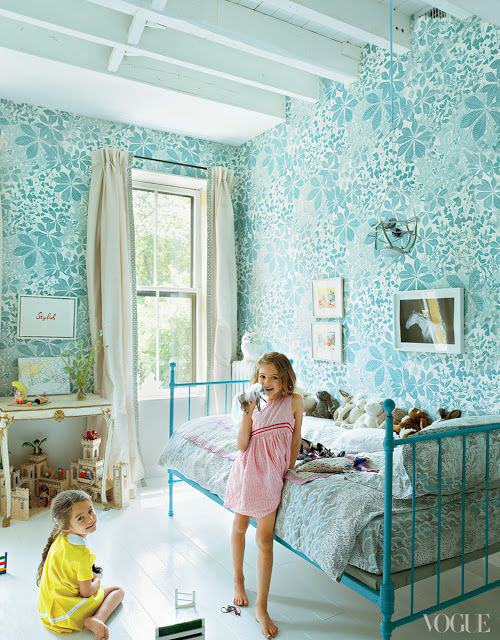 Try something less predictable in a kids room. 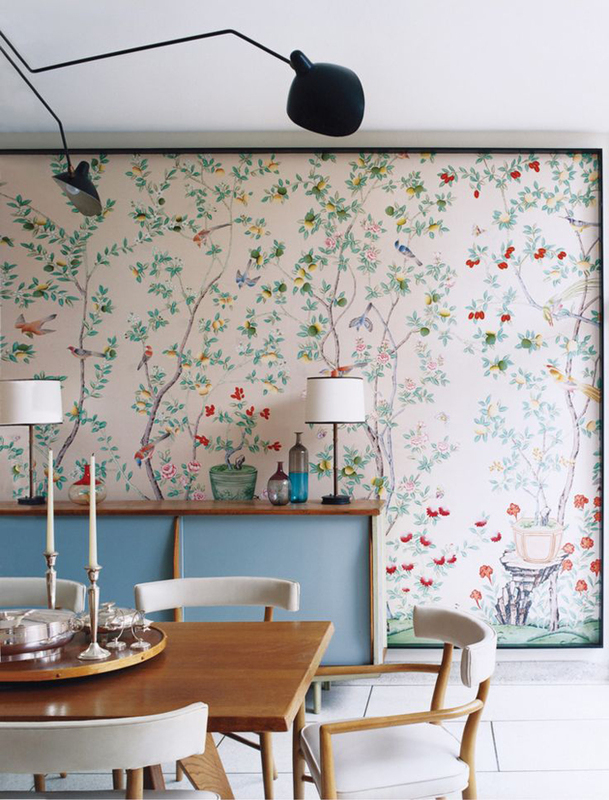 Transform your dining room into something special with wallpaper. 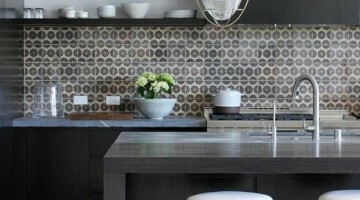 The combined elements of this wallpaper look like mosaic tile. 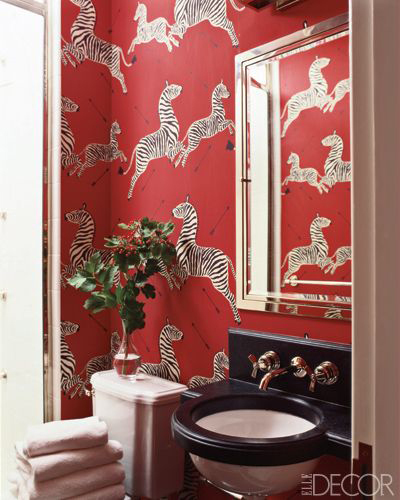 Scalamandre’s Zebra wallpaper in black has such a modern, cool look. 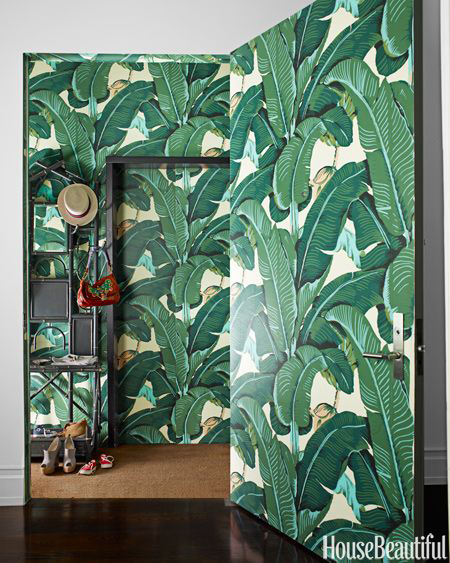 Hinson’s Martinique wallpaper gives a great graphic punch and I love the way they covered all the surfaces, including the door, not interrupting the pattern. 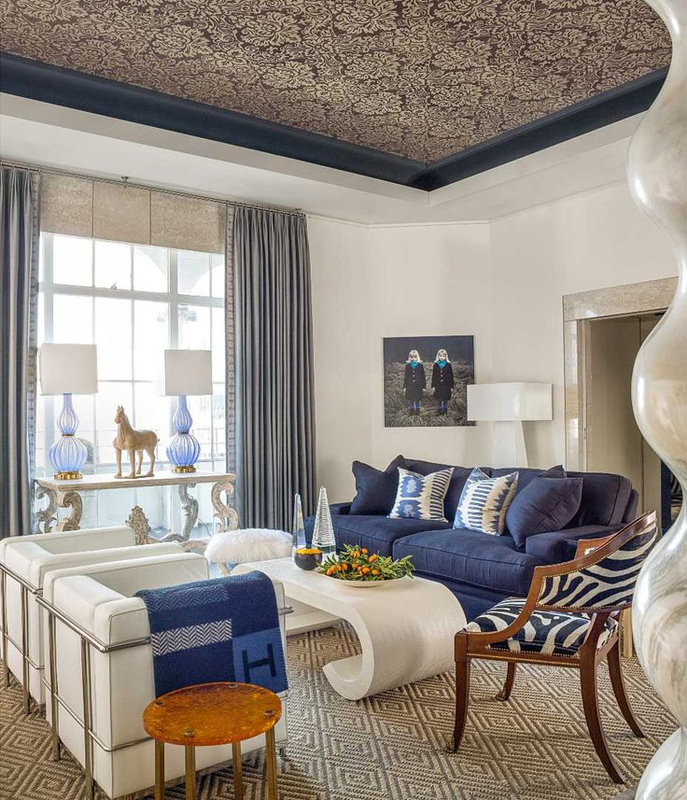 Grasscloth adds a textural element to a room. 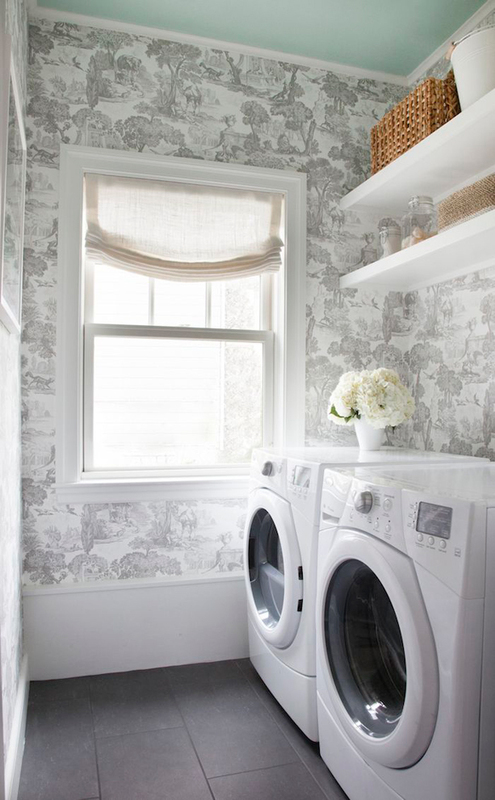 Even the laundry room is an opportunity for wallpaper.